For pancake lovers, the world turned upside down this week. IHOP, formerly International House of Pancakes, changed its name to IHOB, with the “B” standing for burgers. Seems IHOP, sorry IHOB, wants everyone to know it has a great burger called Ultimate Steakburger. Why? Well, dining at IHOP is trending down, due to less family dining and healthier options. So IHOB wants to expand from pancakes to other meals to attract new customers. It turned out the whole thing was a publicity stunt, and a successful one, because the name is temporary and IHOP will return. 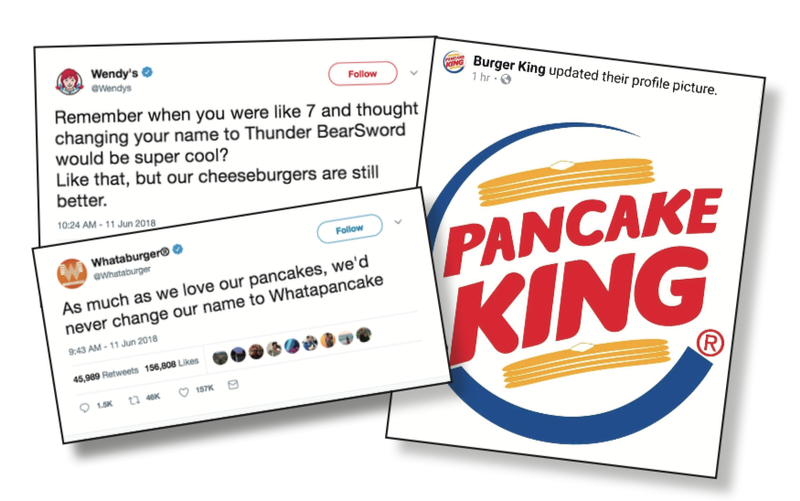 Twitter went crazy, though, with Burger King saying it was going to change its name to Pancake King, and that kind of thing. But for IHOP what a good way to let people know about the Ultimate Steakburger. View the Forbes article here.